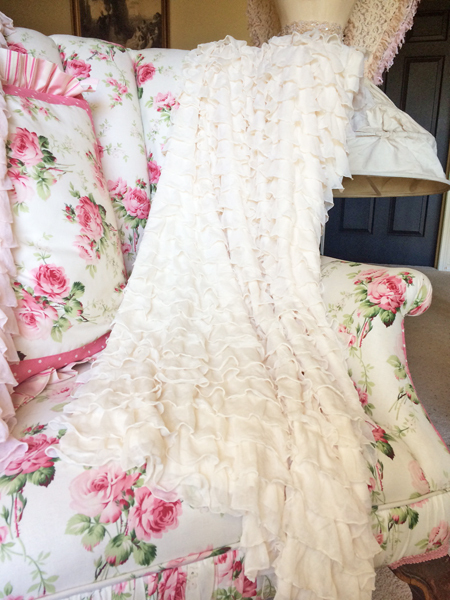 Oh so romantic ruffled throw! 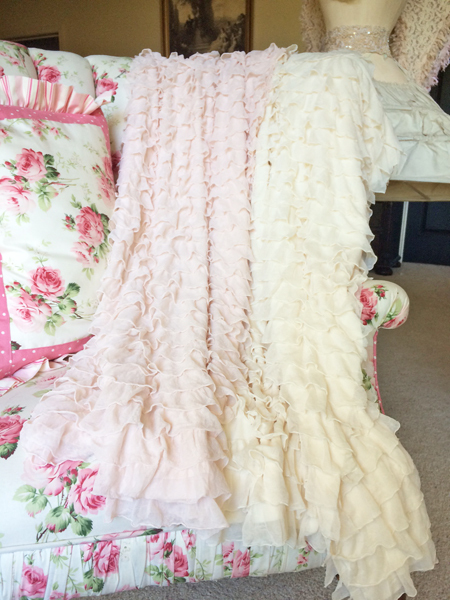 Row upon row of cascading 2" ruffles... luscious lightweight soft fabric. 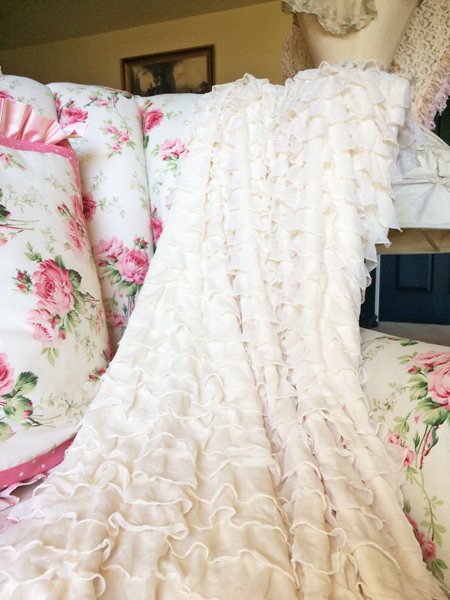 Beautiful draped in a chair, bed, or over a table. 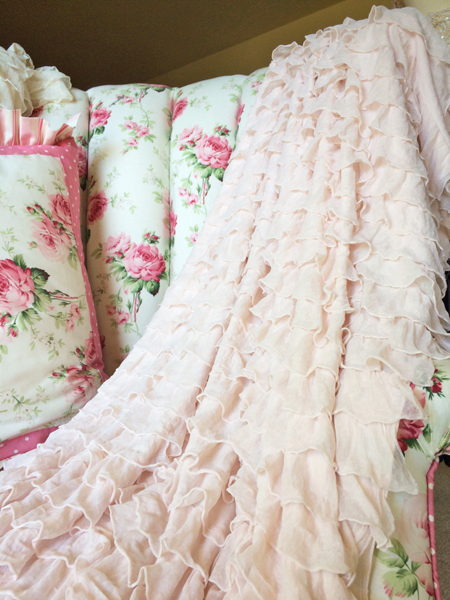 Create a vintage shabby chic look in your boudoir or babies nursery. 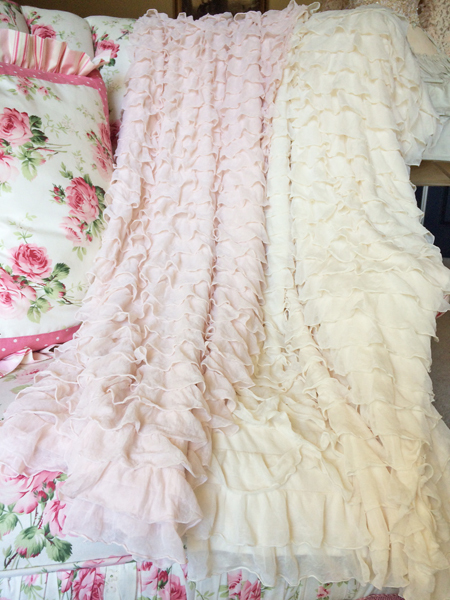 Made from polyester and nylon blend, with edges that do not ravel. Each throw is approx. 48" x 54". 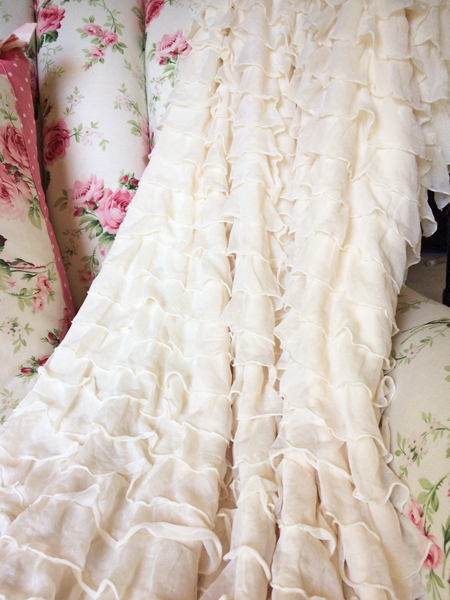 Machine washable on delicate cycle... however, we prefer to hand wash ours. No dryer... lay flat or hang dry. *Note - pink is SOLD OUT. ©2019 French Charmed ®. All rights reserved. Powered by Shoppe Pro. Web Design by Pixelicious.